Many new baby trees have been planted in Rosslyn's Hillside Park. 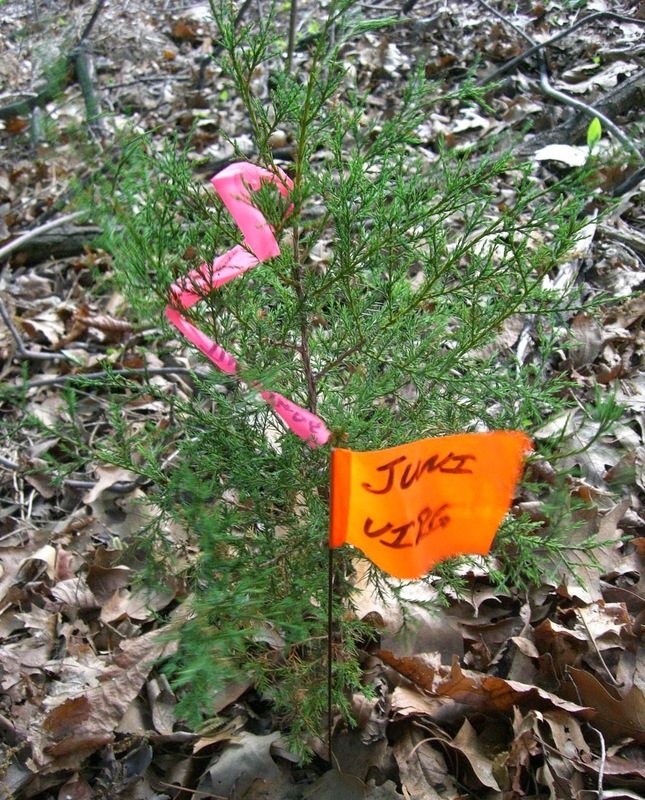 The trees appear to be Juniperus Virginiana. They should benefit from a good watering this Friday. Volunteer forest rangers have done an outstanding job removing invasive English Ivy from Hillside Park. That park was once covered with English Ivy.